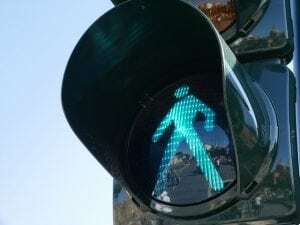 Saugerties, NY (March 29, 2019) – On Thursday afternoon, March 27th, police were immediately called to the scene of a pedestrian accident involving an intoxicated driver. According to authorities, the incident was reported to have taken place at around 5:30 p.m. along Cottonwood Drive. Police at the scene stated that Gloria Dee, 57, of Olivebridge, was the operator of a 2014 Volkswagen Jetta when she reversed the vehicle and struck a pedestrian along the roadway. The pedestrian, identified as Scott Steyer, 65, of Saugerties, suffered a fractured leg among other injuries due to the collision. Paramedics were promptly summoned to the accident site where they treated Steyer and quickly transported him to Health Alliance Broadway Campus in Kingston. Dee was evaluated at the scene where police found her to be intoxicated and took her into custody. Police later determined that Steyer had been at the roadside checking his mailbox while reversing her vehicle, knocking him down and running over his leg. No further information concerning the collision has been provided at this time. Our most genuinely heartfelt sympathies are wholeheartedly extended to Scott Steyer, first and foremost, as we maintain hope for his full recovery. Pedestrian accidents in New York are commonly injurious or fatal, especially those which are perpetrated by reckless or intoxicated drivers. At this time, it is imperative for the victim and his loved ones to realize that they may likely have substantial rights regarding compensation. Our New York accident attorneys at Hach & Rose have committed their lives to assist those who have been injured by the actions of a negligent or blatantly criminal party. We understand that there is nearly nothing as challenging as attempting to recover from a sudden injury, and we are here for you 24/7 to answer any questions you may have at this time. If you or a loved one have been hurt in a New York pedestrian accident due to another party or other entity, please don’t hesitate to call 212-779-0057 today.